That’s probably because it reminds me of food. For the services we offer at Wholesome Harmonies, I think the term “smorgasbord of services” is a better fit, though. We offer a wide variety of music services for children and teens of all abilities and I think the term “smorgasbord” captures that perfectly! Individual music therapy. We specialize in working with children and teens with autism and other special needs, but we do provide services for adults as well. Co-treatment music therapy. We offer sessions in collaboration with the child or teen’s speech, occupational, physical or ABA therapist. Adapted music lessons. We offer lessons on piano, guitar, drum set, voice, and ukulele to children or teens with special learning needs. We provide creative adaptations including color-coded notation, simplified or larger notation, extra practice sheets and materials, visual aides, music and movement to teach concepts of rhythm and beat, and musical games (for example card games to teach musical symbols). Traditional music lessons. We offer lessons on piano, guitar, drum set, voice, and ukulele to children or teens who are neurotypical. Students are encouraged to bring in their favorite songs to work on during sessions. Currently, we have students learning songs by Taylor Swift, Demi Lovato, and Green Day! Small group music therapy. We offer two sessions of “Sing, Speak, Socialize” – one for children ages 3-5 and another for children ages 6-8. Our focus is on developing social communication skills and learning academic concepts like colors, numbers, body parts and letters. Large group music therapy. 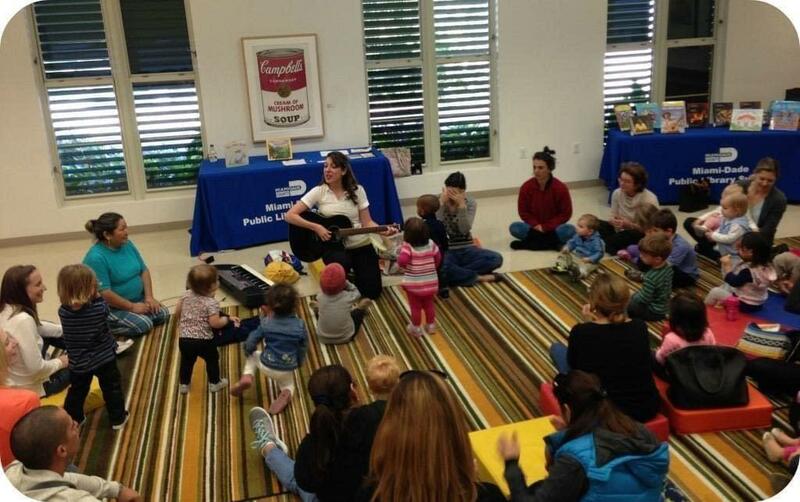 We provide large group music therapy for the following organizations: ParkOptimists Miami, Friendship Circle of Miami and Miami Beach, Down Syndrome Association of Miami, Miami-Dade Public Library System and Brockway Memorial Library. We look forward to continuing to expand our reach to new parts of Miami and expand our smorgasbord of services!